Calais Plain Black Tile – These tiles evoke the charm of Northern France, with a beautiful colour pallete, incorporating both plain and patterned tiles. 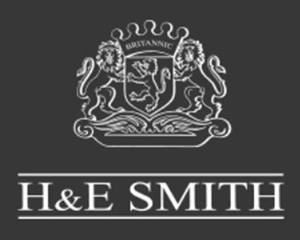 H & E Smith will be showcasing their NEW range of Encaustic Effect Glazed Porcelain Floor Tiles that they have named “The Capital Range” at the Surface Design show 2018. Visitors to stand 526 will see all 7 New designs in the Capital range, which compliment the Period Embossed Wall tile collection. Colour Definer Porcelain Tiles – An extensive palette of colours across the full spectrum in homogenous fully vitrified porcelain. All colours are available in a range of sizes and finishes, including mosaic options. Suitable for any commercial environment with rectified edges to allow precise installation. Complimented by a full range of skirtings, steptreads and various anti slip and structured finishes. Geneva Glazed Porcelain Tiles, a new range of tile for 2018 from H & E Smith Ltd.
Duracrete – A versatile range of matt and rectified Porcelain concrete effect tiles for walls and floors, for either interior or exterior use. Kensal Glazed Porcelain Tiles, a new range of tile for 2018 from H & E Smith Ltd.
Monzastone is a condensed range of homogenous fully vitrified technical tiles suitable for many commercial varied applications. Matt, polished, structured and anti slip surfaces available. Omega Porcelain Tiles – Use these tiles to create a neutral, non-slip surface that can be used to compliment a whole range of interior design concepts. Salon Porcelain Tiles – a range of wall and floor porcelain tile for interior and exterior use, from H & E Smith Ltd, Hanley. A modern and exciting new range of 600×600 Glazed Porcelain. Available in 3 unique design concepts. 9 Square, 4 Square and total coverage patterns. Ideal for commercial and domestic applications. Adding subtle elegance to restaurants, showrooms and living areas. At H & E Smith we understand that the practical performance of a tile is as equally important as its aesthetic appeal, which is why we’ve created the Suregrip Collection that is compatible for a variety of wet surfaces. Vale Patterned Porcelain Tiles, a new range of tile for 2018 from H & E Smith Ltd.
Vari-Brick is a beautiful new range of creative tiles which draw the inspiration for their designs from the weathered, textured walls of old forts. Vari-Hex Hexagon Tiles are a beautiful new range of creative tiles which draw the inspiration for their designs from the weathered, textured walls of old forts. The “Vari-Hex” hexagon tiles in 20x23cm gres white body tiles have a distinctive and contemporary charm all off their own. A series of fine porcelain geometric floor tiles supplied on glass fibre mesh backing in 300x300mm panels. Thus ensuring precise uniform joints of 4mm and a perfect alignment. This product is ideal for high traffic areas such as commercial kitchens, restaurants, shopping malls and bars.